Clearly, having a handle on the ebb and flow of inventory levels in your store is key to profitability. If you’ve got the goods you’ll make the sale. 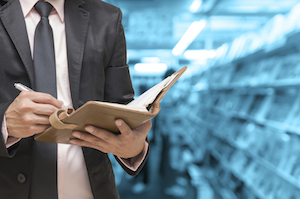 Yet, 75% of retailers do not keep accurate counts of in-store inventory. How can a store operate that way? Well, how can you deliver if you don’t have a clear picture of what’s selling? A good inventory management service can help you do that, through accurate inventory counts and comparison reporting. But how do you find an inventory management service that’s right for your store? What factors should you be looking for to help you pick one you can trust – that will compel you to take that “leap of faith” and make the investment you hope will lead to higher in-store profitability? How about longevity? There’s something to be said for that. Years of proven service translate to a solid foundation of specialized knowledge in inventory management. You want a service that has been willing to change over time, and advance with technology. How about a proven track record? Happy customers make raving fans. If the inventory management service you’re considering can give you a list of retailers you can contact, that alone is a testimonial to integrity. How about accessibility? A service that can send out teams of inventory specialists just about anywhere is a service with a global vision. It means there are no limitations to what the service is willing to do, no matter the size or location. Second to you could be your inventory management service.